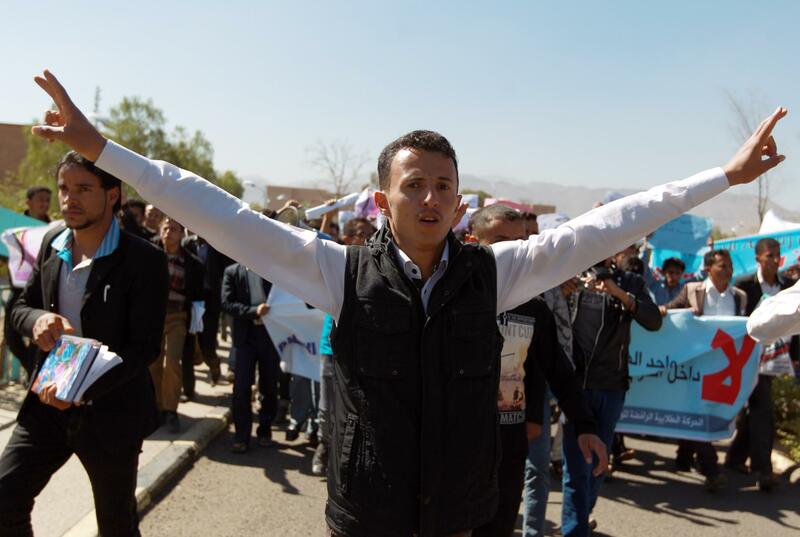 SANA’A—When Ghassan started studying science at a private university in Yemen’s capital city three years ago, he planned to finish his bachelor’s degree quickly and go on to become a professor. Instead his studies have been slow and, much to his embarrassment, his mother had to sell her gold bracelets to pay his university fees. “Living conditions are very harsh in war, even though we are not that close to the front,” he said. Ghassan (last name withheld by request for his protection) is one of thousands of Yemeni students, or would-be students, who have had difficulty accessing higher education during the running series of conflicts that broke out into full-scale civil war a year ago. Even before the war, Yemen was the poorest country in the Middle East. Now it faces shortages of food, medical supplies, and electricity. Around 80 percent of families are in debt or borrowing money to feed their children. Families are eating less, opting for cheaper food or skipping meals, according to a new UNICEF report. 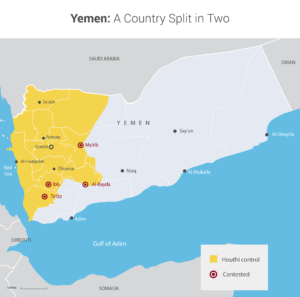 Since 2015, a Saudi-led coalition of Arab states has entered the conflict to try to restore President Abd-Rabbu Mansour Hadi to power after he was ousted from Sana’a by Iran-aligned Houthis from the north of the country. According to U.N. agencies, more than more than 10,000 people have lost their lives, and more than three million people are internally displaced. 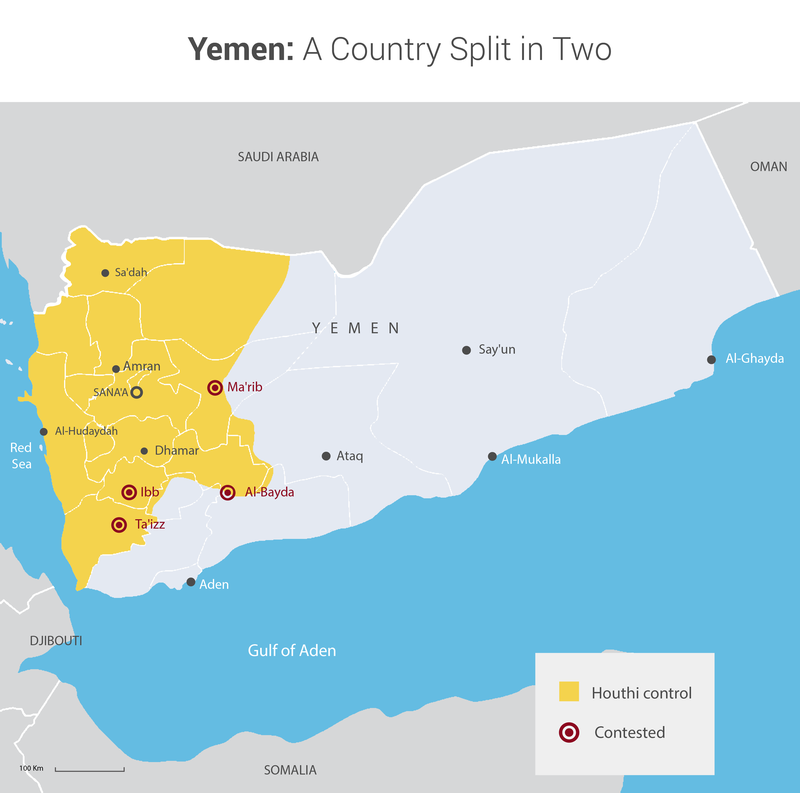 Hundreds of thousands have fled the country altogether, although the country’s borders with its immediate neighbors, Oman and Saudi Arabia, are remote and tightly controlled. Some Yemenis have managed to flee across the sea to Djibouti, but find little educational opportunity there. In Yemen, a number of universities are physically shattered. 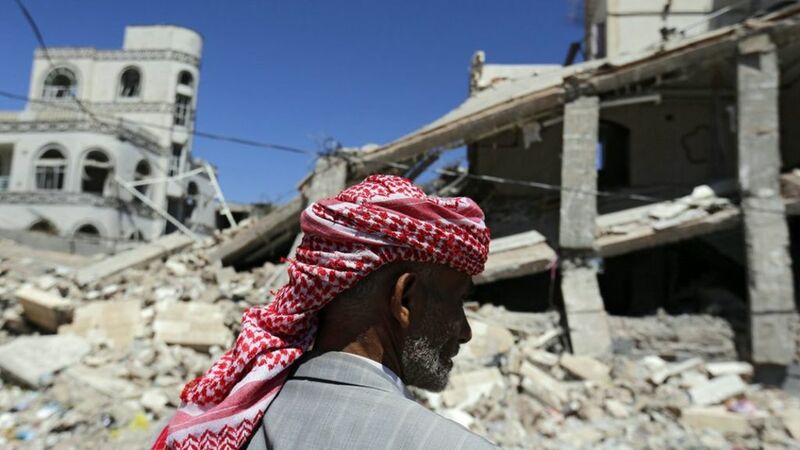 A study by Mohammad Al Soofi, an education professor at Sana’a University, found that a dozen public-university buildings had been completely destroyed and another 25 university buildings were partially destroyed. A journalist’s video posted on You Tube shows a smashed Taiz University and a dean’s office that was used as a sniper’s nest. “We are doing our best to keep operating as much as we can,” said Yahya Hadi, the undersecretary of the ministry of higher education in the Houthi-affiliated Sana’a government. The rival governments each have their own minister of higher education, and each have tried to control the central bank. As a result, many if not most of the country’s 1.2 million civil servants, including professors, have not been paid in months. Future University has already cut professor salaries by 40 percent to reduce expenses, he said: “Any more cuts could stop our operation.” Indeed, hundreds of professors from both public and private universities have fled the country for employment elsewhere, according to reports. Sometimes Ibtisam and her fellow students manage to get to the university, only to find that their professors have not shown up. “This is really painful as we struggle and pay a lot of money to reach an empty classroom,” she said. Professors have been on strike lately, as they have not been paid for six months. The professors say they have their own problems. “We do not want to harm students’ education, but many of us can’t pay for transportation to reach the classroom, so how we can keep working and educating students?” said Abdullah Nasher, a professor of agriculture at Sana’a University. University life is also disrupted and tense in Aden, which is under the control of what was previously the central government. “No one can predict what might happen in the next minute,” said Mohammad Qa’id Abdullah Thabet, a 19-year-old first-year medical student at Aden University. He shares the cost of taxis with his fellow students to get to lectures. Al-Soofi, the education professor at the University of Sana’a who has researched the effects of the war extensively, urges that a central fund be set up to help displaced students. He also urges donor collaboration to start rebuilding universities and supporting temporary study centers that allow displaced students to keep up their coursework. While Yemeni young people wait for such help, they say they struggle with negative emotions. “We are out of focus, we are forgotten and left without any hope that this war could be ended soon,” said Ghassan. Sabah Hamamou, in Turkey, Tarek Abd El-Galil, in Egypt, and Edward Fox, in London contributed to this story.